Today I paid a return visit to Ground Zero, otherwise known as the Chicago HQ of the J. Allen Hynek Center for UFO Studies (CUFOS). It was there, just a few years ago, that I learned of the opportunity to write a book about the career of Dr. Hynek, and it was there that I very wisely jumped at the chance. Found it on Amazon for a penny! 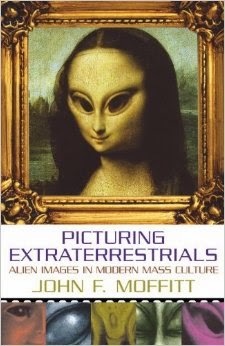 A list of five new books to buy, including one very intriguing book by an art history professor called "Picturing Extraterrestrials: Alien Images in Modern Mass Culture"
I also spent some time rooting through the archives in Mark's basement and came across some wonderful correspondence between Hynek and British Ace UFOlogist Jenny Randles. In one 1979 letter Randles bemoans the fact that "Out of every 100 UFOlogists, only 2 or 3 are of any use." 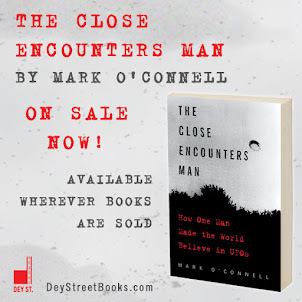 Seeing as how that letter was written from one UFOlogist to another, it's not hard to do the math. "I would like to propose a sort of mutual non-aggression pact because I think any 'confrontation' (which the tv people would dearly love) would, I believe, be based on an unfortunate misunderstanding. 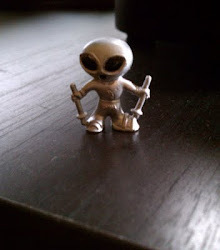 I do not and have never, supported the idea that UFOs were nuts-and-bolts hardware from some very distant place." What were the other book titles? I'll let you know what I think of them!